One of the famous questions you get from anyone considering getting a spray tan is, “Will I look orange after a spray tan?” of course, that is not what tanning do to you but is what can happen if you don’t do your research right. We can’t blame or judge them for asking the questing, they have probably heard or seen spray tanning and it’s always the best move to know and understand what can go wrong and its possible causes before getting a spray tan. Spray tanning has been around a long time and the purpose is to give your skin that beautiful bronze glow like you just get kissed from the sun. most people want to get a spray tan that gives their skin that glowing look_ like they just came from a relaxing vacation, they don’t want it to be too obvious or funky to drive the wrong attention or get people asking “what happen?”. To avoid looking funky or orange after a spray tan, you need to know what can cause it. 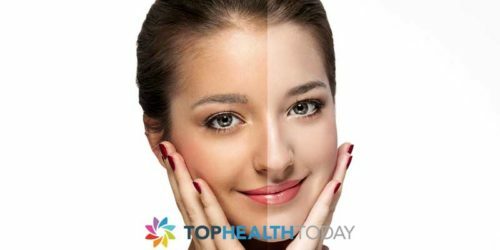 There are two major factors that can make your skin look orange: how sensitive your skin is to tanning and poorly treated DHA. Spray tanning is a form of sunless tanning where a fine mist (sunless solution) is sprayed onto your body. One of the major ingredients in this mist is Dihydroxyacetone, also known as DHA. DHA is the substances that interact with your skin to cause that beautiful bronze tone you get from tanning. It is the level of DHA in the tanning solution that determines how much tan your skin get from spray tanning. The level of DHA in the tanning solution need to be perfectly balanced with other ingredients_ to give your skin that perfect tone and not too saturated to turn your skin orange. If the level of DHA in the mist is too much, your skin may become super-saturated and turn orange, on the other end, if the DHA is not enough; your skin will not tan. The safe side is to go for the best tanning salon with lots of experience and don’t be afraid to ask questions about what the will spray on your body. Remember, you are the one paying and it’s your body, so you have every right to ask questions. This is also related to the amount of DHA in the tanning sunless solution. The sunless solution used for someone with fairer skin will be different from the one used on much more toned skin. Wrong solution on fairer skin can turn it orange. The DHA reacts with skin in much the same way as the sun, if fair skin that easily gets skin burns in sunlight will require a sunless solution formula less DHA. There are set of guidelines used by tanning salons to determine their client skin type and the sunless solution that will be best for their skin, this is called the Fitzpatrick Scale. This scale can be used to know determine what type, and how much tanning solution to use on a particular skin type. Also keep in mind that the easier you get sunburns, the easier you tan and the easier you can turn orange if the wrong solution is used on you. Shave or wax before going for tanning. Try to exfoliate a day before tanning. Don’t apply makeup, deodorant or moisturizer before you spray tan. Follow other instructions given by your Estheticians.